Two women sit together on a hospital bed and cradle their babies, who are being treated for acute watery diarrhea at a stabilization centre for malnourished children, at Bay Regional Hospital in the south-western town of Baidoa, Somalia, on Feb 1, 2017. In South Sudan, Somalia, Nigeria, and Yemen, 20 million people will face life-threatening famine in the next three to four months. That’s equal to the populations of New York, Los Angeles, Chicago, Houston, Philadelphia, and Phoenix combined. 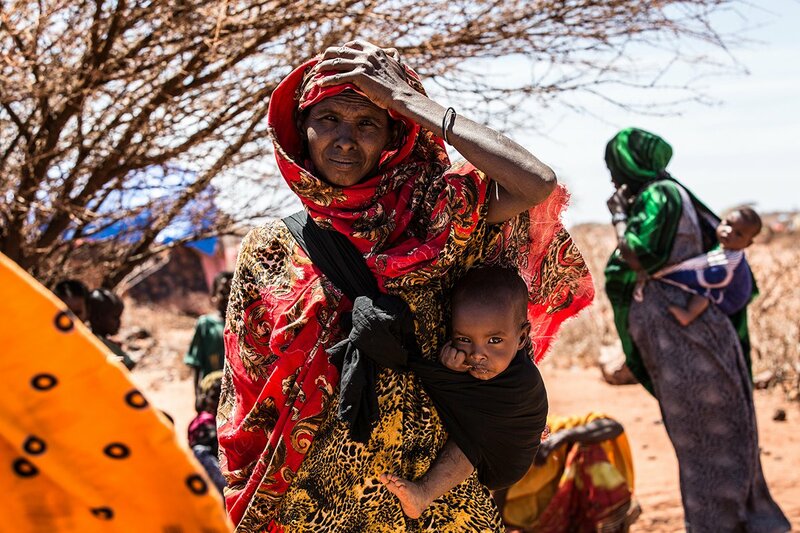 Beyond famine, 6.2 million people need urgent humanitarian aid in Somalia – 110 people died in a 48-hour period. Meanwhile, 3.3 million people in Yemen are acutely malnourished. The United Nations has requested $4.4 billion to address the crisis. The International Committee of the Red Cross says it needs $400 million for its own life-saving operations. These are just two of the organizations on the ground that require funding. These figures are overwhelming, not just in value but in terms of the sheer volume of statistics attempting to depict the food crisis rattling the world. But no matter how in depth these reports are in detailing affected populations, money, and time to respond, ultimately, famine isn’t accounting. No Roman-Arabic numeral can encapsulate the tragedy of starvation and the total failure on the part of humanity for allowing it to happen. In this light, these are a few photographs, courtesy of UNICEF, of South Sudan, Somalia, Nigeria, and Yemen, the four countries currently enduring the worst famines on Earth. Some of these images are graphic. They are not meant to offend or frighten, only to inform. It’s understandable to look away, but keep in mind: the people you see can’t simply turn off their computers and make the problem go away. These images belong in history textbooks, not United Nations reports. If you agree, please take whatever action you can to help alleviate it. Hayisha Mehamed waits to be seen by an MHNT heath worker with her 1-year-old daughter on Feb. 15, 2017. 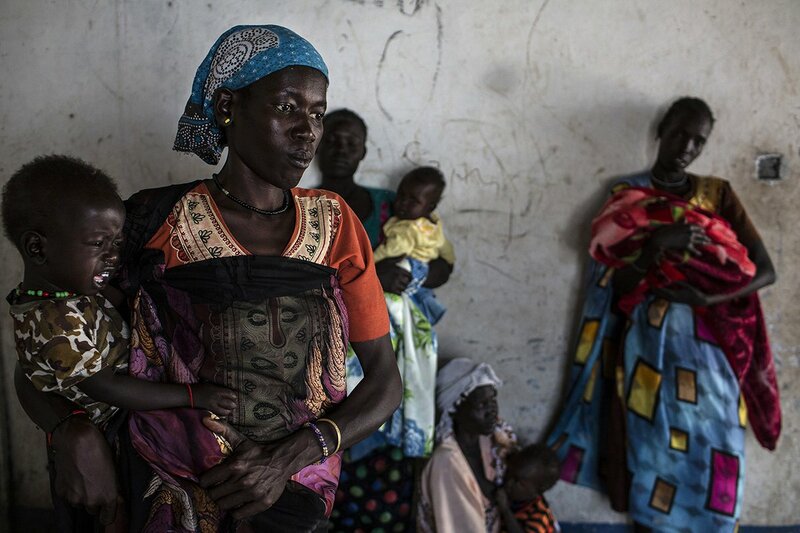 Women wait with their children to be examined and possibly given supplementary food in a mobile clinic run by UNICEF during a Rapid Response Mission (RRM) in the village of Rubkuai, Unity State, South Sudan, Feb. 16, 2017. 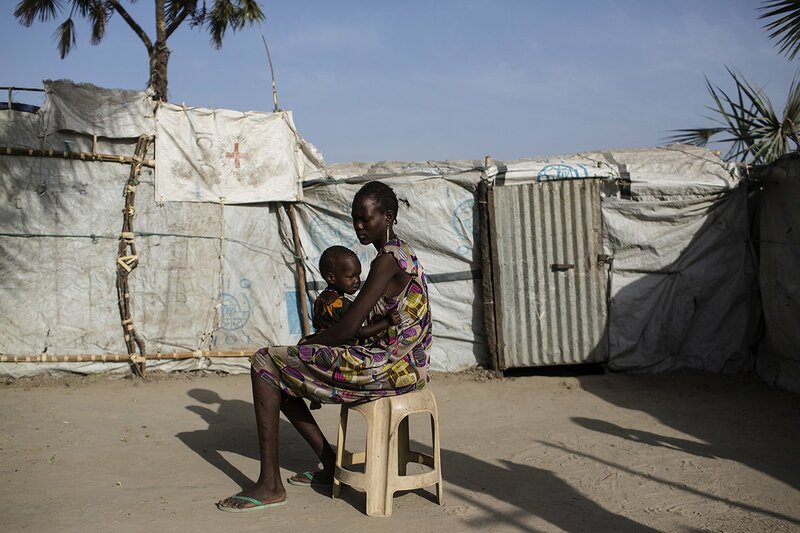 Jany Kuong, 20, holds her 1-year-old baby girl, Nyakuiy Kay, on an island close to Thonyor, Leer county, South Sudan, on Feb. 24, 2017. 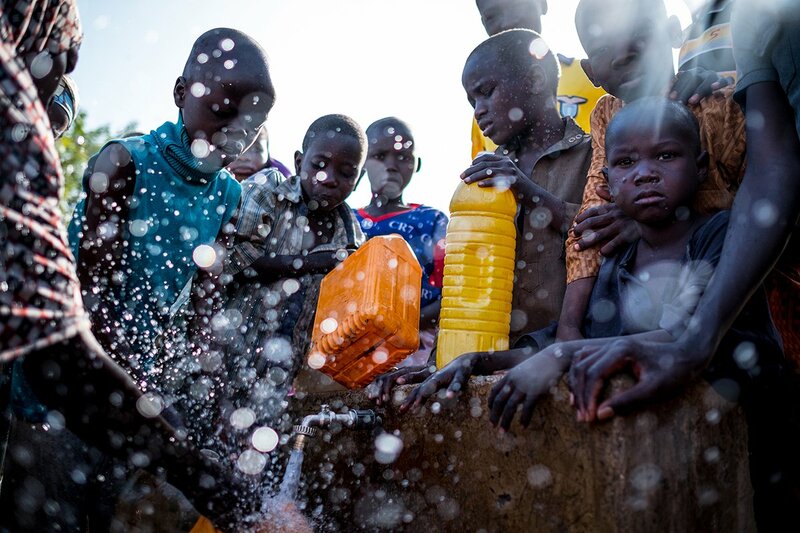 Internally Displaced People fill containers with water at a tap inside the Dalori camp in Maiduguri, Borno State, Nigeria, on March 3, 2017. 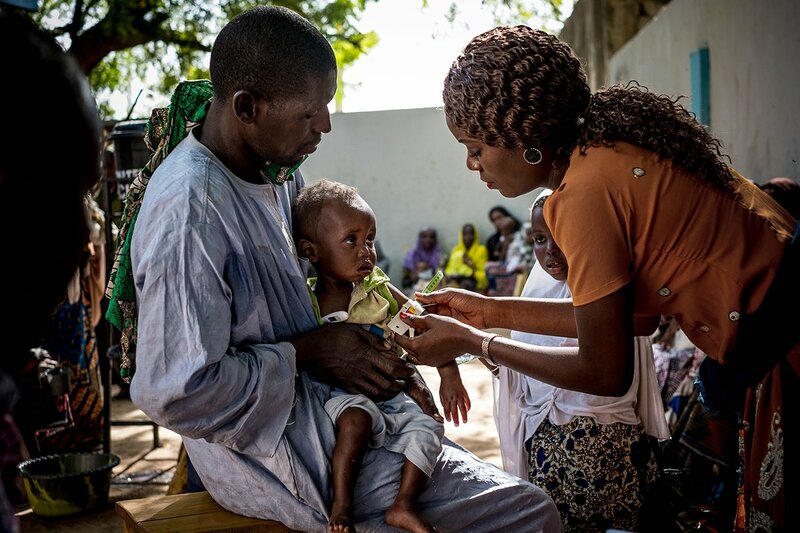 A medical practitioner uses a mid upper arm circumference measuring tape on a child at the Dalaram health and malnutrition clinic run by the government and supported by UNICEF in Old Maiduguri, Borno State, Nigeria, on March 2, 2017. 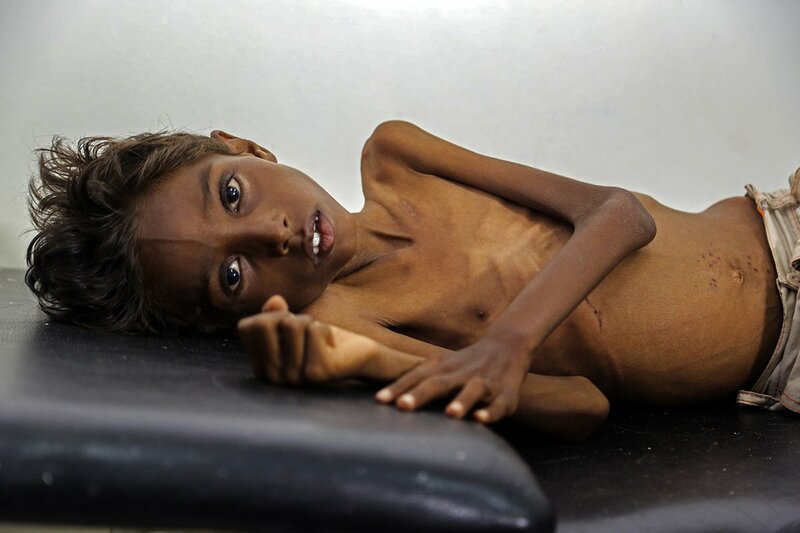 Mohanned, 5 years old, lies on a bed in the Abs hospital on Dec. 12, 2016 in Hajjah, a governorate in Yemen which has some of the highest numbers of severely and acutely malnourished children. 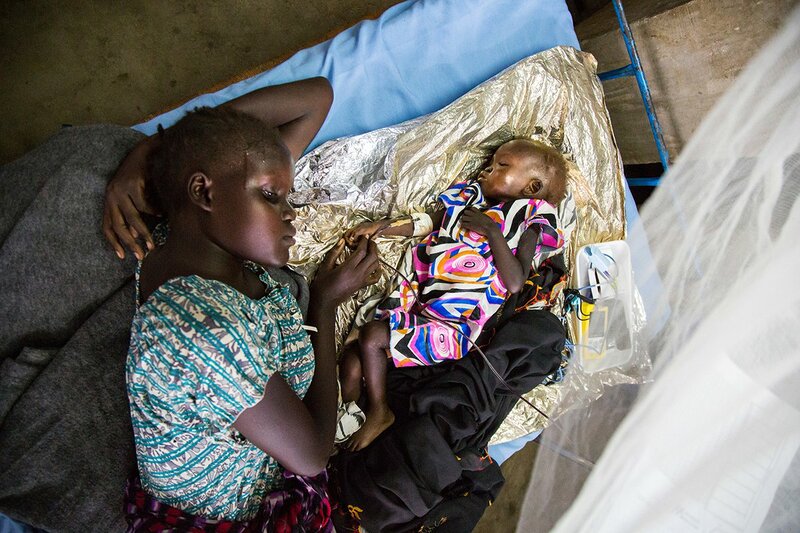 Sarah Nyawar looks at her child Nyamule Thuokhok, a 2-year-old child with anemia and severe malnutrition, at the malnutrition ward of the clinic run by the International Medical Corps (IMC) in the UN Protection of Civilians (PoC) site on Feb, 17, 2017. 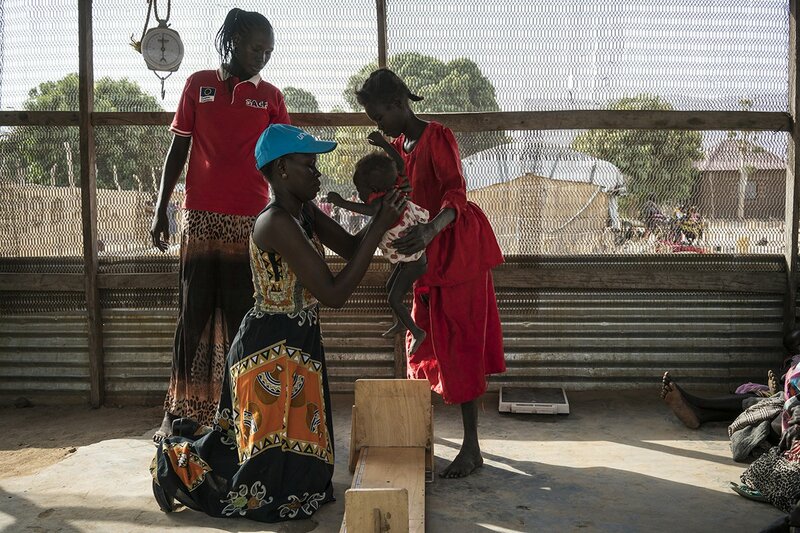 UNICEF Nutrition Officer Judy Jurua Michael (front left) lowers 13-month-old Alakaii onto a board to measure her height during a community malnutrition screening at Gabat Center, a UNICEF-supported Outpatient Therapeutic Program in Aweil, South Sudan. 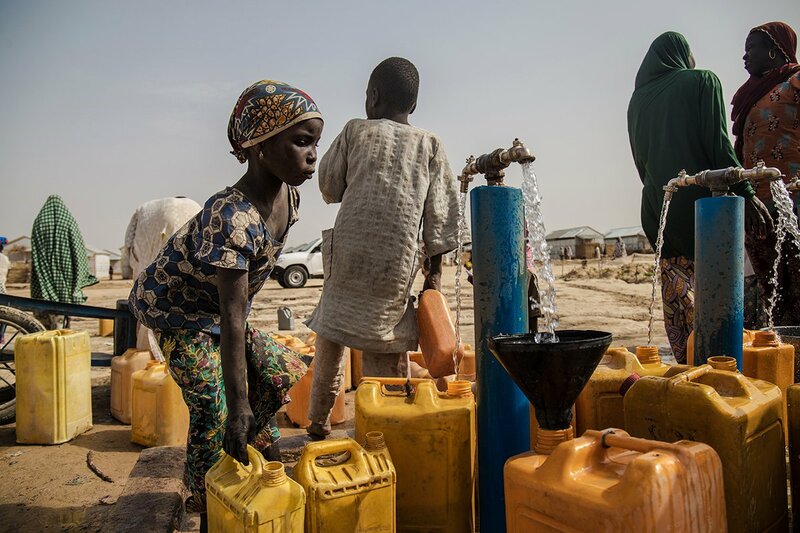 Zara collects water for use at their home in Bakassi IDP camp, in Maiduguri, the capital of Borno State, Nigeria on March 13, 2017. 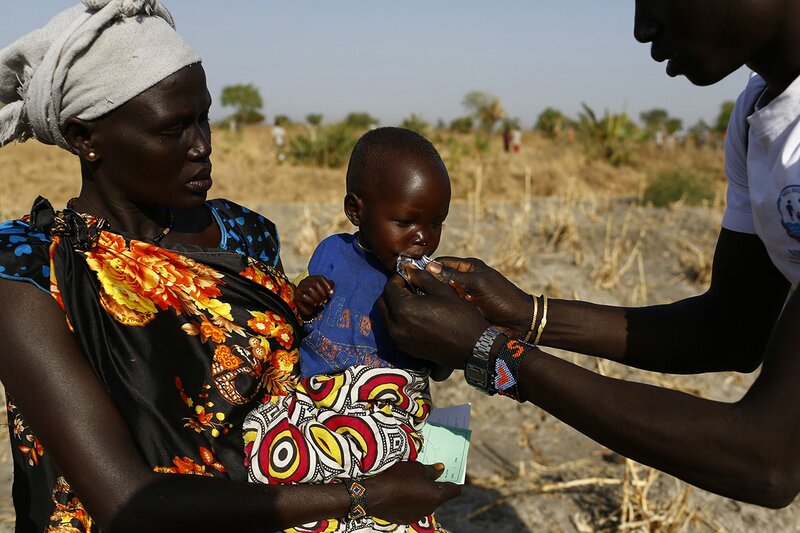 Angelina Nyanin, 25, holds her niece, Nyalel Gatcauk, 2, who is suffering from malnutrition, as a UNICEF nutrition worker feeds her a peanut-based paste for treatment of severe acute malnutrition during a Rapid Response Mechanism (RRM) mission. 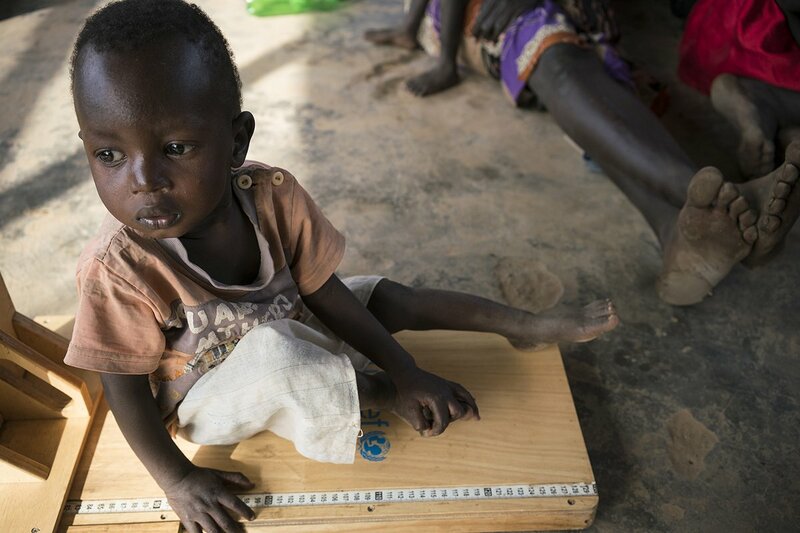 A young boy sits on a device used to measure height as part of a malnutrition screening at a UNICEF-supported Outpatient Therapeutic Program in Aweil, South Sudan, on March 13, 2017. 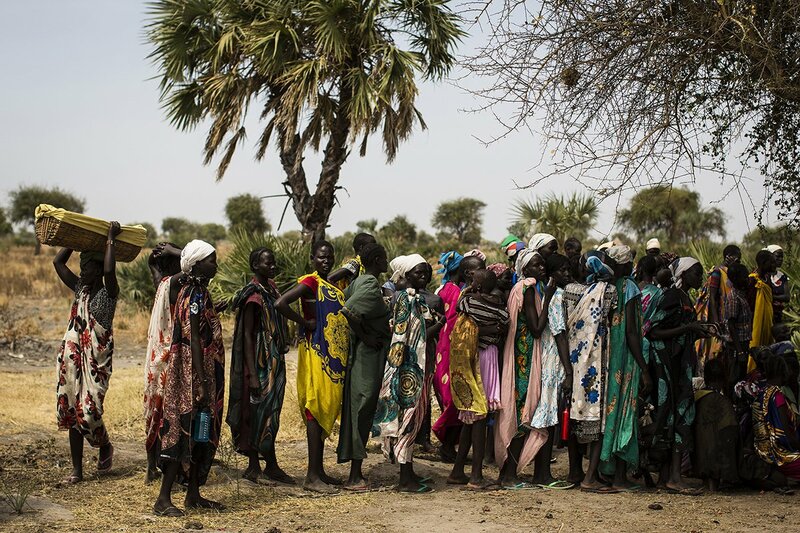 Women arrive to have their children examined in a mobile health clinic supported by UNICEF in the village of Nimini in northern South Sudan, on Feb. 8, 2017. 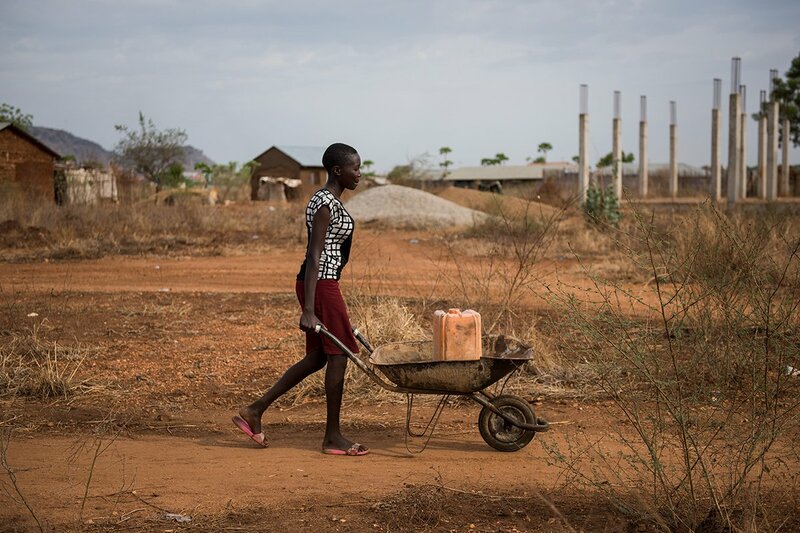 Amal, 17, pushes a wheelbarrow with a jerry can of untreated water from a tap on the outskirts of Juba, South Sudan, on March 17, 2017.